Halo fanboys get ready to feast your eyes on the new trailer for the live-action Halo: Nightfall TV series. Microsoft has just dropped a brand-spanking new trailer for Halo: Nightfall - and it looks pretty awesome. 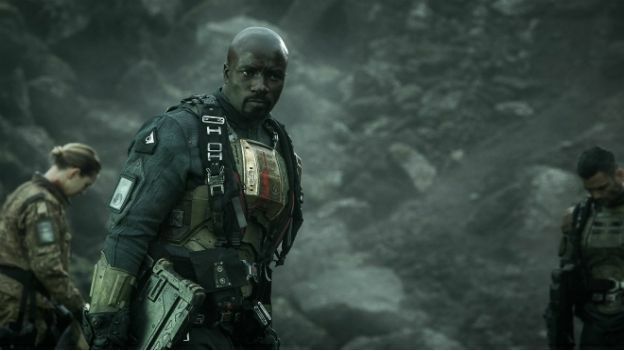 The trailer sets up the story focused on protagonist Jameson Locke (played by Mike Colter), an Office of Naval Intelligence agent investigating a biological weapon that threatens to wipe out the human race. We got a teaser trailer for the show back in July, but the new video offers a first look at some of the other main characters. On the Halo timeline, Halo: Nightfall sits between the events of Halo 4 and upcoming Xbox One title Halo 5: Guardians. The show is basically Agent Locke's origin story, who is set to become a major playable character in the franchise, starting with Halo 5: Guardians which will be released in 2015. It's worth mentioning that Halo: Nightfall is Alien and Gladiator director Ridley Scott's TV project, not to be confused with the one Steven Spielberg is working on. Xbox Entertainment Studios is still running the project, despite the fact it was shut down by Microsoft back in July. The first episode in Halo: Nightfall, which is directed byBattlestar Galactica'sSergio Mimica-Gezzan, will be shown during theHaloFest live-stream eventon November 10 while the rest of the series will broadcast later. Halo: Nightfall will also ship with the Halo: Master Chief Collection when it's released for Xbox One on November 11.